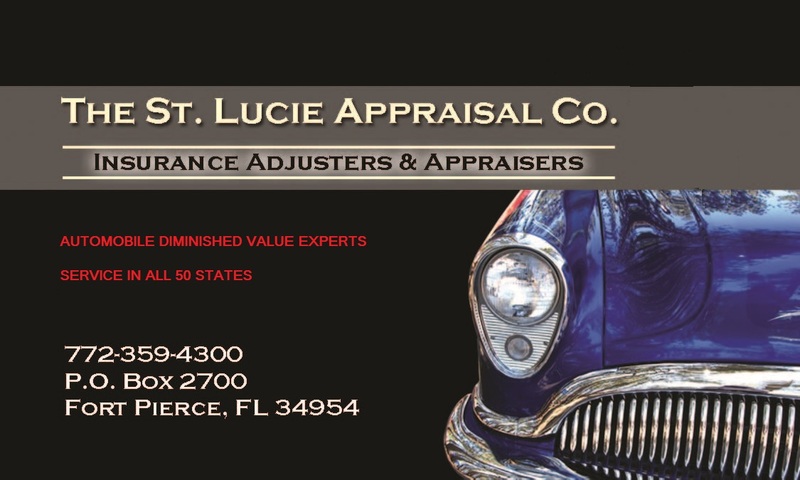 The St. Lucie Appraisal Company prepares its automobile diminished value reports based on new car dealers’ opinions of how much value your car has lost because it was repaired after a collision. It has always been known that used-car buyers In Washington DC favor purchasing previously undamaged cars to repaired ones – even if repairs were perfectly done. But until CARFAX came along it was virtually impossible to know one from the other. Now that repaired vehicles can be easily identified by having the dealer order a CARFAX report, these cars and the stigma of their being previously repaired eroded their trade-in values, sometimes considerably. This type of loss is known as “inherent diminished value.” Inherent diminished value, as many people know, simply means that, as a result of previous repairs to a motor vehicle and the resultant bad CARFAX report, the vehicle is worth less than a similar vehicle that was never involved in a collision. The first step toward recovering that lost value is hiring a licensed independent appraiser specializing in automobile diminished value reports. Insurance consumers in Washington, D.C. may seek compensation for their vehicle’s loss in fair market value from the adverse insurance company. Insurance companies are expected to indemnify automobile owners for the value of their vehicles prior to the loss. The amount of diminished value varies according to many factors. The year, make, model, mileage, type and severity of repaired damage and even a car’s color can factor in to the equation. Consumers of high-end cars such as Bentley, Mercedes-Benz and Porsche tend to be more discriminating and usually won’t buy a vehicle that was repaired, regardless of how minor the damage was. 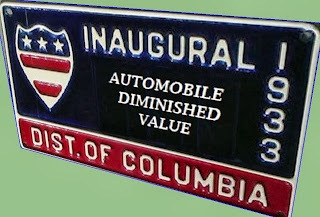 Diminished Value can result in as much as 50% of the vehicle’s value lost. One reliable indicator can be considered relevant regarding automobile diminished value – how much less the dealer will offer for your trade-in as a result of a bad CARFAX report. If a consumer or attorney in Washington, D.C. needs to hire a diminished value appraiser, the appraisal should preferably be done on the basis of actual dealer opinions rather than the use of formulas or auction results. 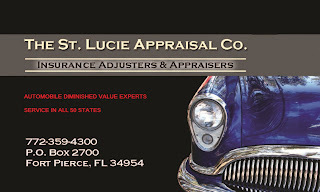 The automobile diminished value report you receive from St. Lucie Appraisal is based entirely on the opinions of used car managers at automobile dealerships in Washington, D.C. By making a claim against the insurance company of the responsible driver, consumers should be able to recoup every dollar lost in value by submitting an Automobile Diminished Value Appraisal to the insurance adjuster.